Silverstone Circuit, Northamptonshire, UK (November 8, 2010) – Irish racecar driver Peter Dempsey won the prestigious Walter Hayes Trophy event for the third time this weekend at the world famous Silverstone Circuit in England, matching British driver Joey Foster’s win record and therefore becoming the second ever driver to do so. In the knockout-style racing event with over 120 entrants, the 24-year-old not only won the final, but he also raced his #3 Cliff Dempsey Racing Ray Formula Ford to victory in both his heat qualifying race and his semi-final race. With the second fastest overall race time and a win in his semi-final, Dempsey qualified second for the 15-lap, 36-car final. A perfect start saw him taking the lead from pole-sitter Wayne Boyd on lap one where he stayed comfortably for the remainder of the race, ultimately crossing the finish line over one second ahead of second-place finisher Ivor McCullough. Dempsey’s record-tying win tasted especially sweet after struggling with engine problems and changes up until just a few minutes before the start of the final. With an immense effort from the team (and perhaps a bit of Irish luck), the engine finally roared to life, Dempsey rushed to his starting position on the front row of the grid and the rest became racing history. 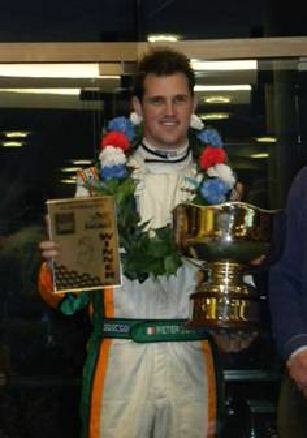 The standout formula car driver won the Walter Hayes Trophy in both 2006 and 2007 with Cliff Dempsey Racing and was awarded the Motorsport Ireland Young Driver of the Year award in 2005 and 2008 for his exemplary racing performances in both Europe and the U.S.A. 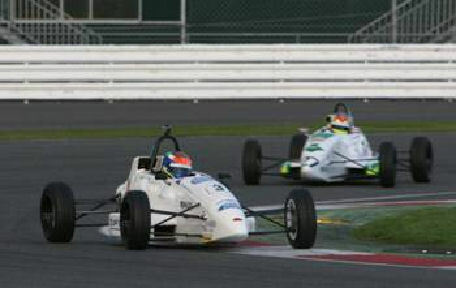 In 2005, Dempsey raced Formula Ford 1600s and won 33 out of the 43 races that he contested in that season. In 2008, Dempsey moved his career to the Star Mazda Championship presented by Goodyear in the U.S.A. finishing third in the championship in his rookie season and second in the championship in 2009. In October of 2010, Dempsey engaged in a new style of racing, the American Le Mans Series presented by Tequila Patron, with his entry into the World Famous Petit Le Mans 12-hour endurance race at Road Atlanta. As the 2011 racing season approaches, the young talent from Ashbourne, Ireland will look forward to winter testing in the LMP2 car as well as continuing to coach young drivers as they, too, pursue a career in motorsports. To view footage of the 2010 Walter Hayes Trophy, please go to www.youtube.com/pdempsey21. For more information and to follow Peter’s career, please go to www.peterdempsey.com. Copyright © 2010 RAY Cars. All rights reserved.